As burglaries in the United States decrease, many experts point to the increased use of home security systems as one of the primary causes. Thieves are less likely to attempt to break into a home when they see a security system sign in the yard. Security systems today are more advanced and harder to tamper with, and burglars know this. The following news report will detail the features consumers should look for in a home security system and which shortcomings they should avoid. The home security system market is not without its flaws. There are three possible downfalls of any given security system that consumers would do well to avoid. Outdated equipment and procedures: home security systems worth considering will operate 100% wirelessly and offer easily accessible communication between user and monitoring center. In the 21st century, anything less in unacceptable, especially as high tech systems are readily available. Overpriced: a quality home security system does not necessarily have to be the most expensive system. While fear mongering is common in marketing security systems, consumers must look at this purchase rationally, by choosing the system that both meets their needs and comes with a reasonable price tag. Lack of non-security options: today’s security system does not just offer home security, it also offers options such as energy saving capabilities and non-emergency alerts. These options are helpful to the majority of consumers and should not be overlooked when choosing a security system. In 2010, the Federal Bureau of Investigation reported annual home invasions of over 2 million. Victims of these invasions collectively lost $4.6 billion in property, or an average of $2,119 per home invasion. 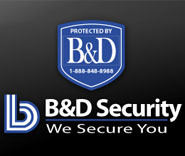 It means YOU will benefit from securing your property with a home security system. To do otherwise can be very expensive and even possibly dangerous!